One of the reasons why cityscapes gives us so much trouble is that there’s just way too much information to deal with. If you started painting every window on every building, every tire on every car, it would take forever. I mean you have to draw everything in perspective, to begin with. If your drawing is off, it shows. Nope, cityscapes aren’t as forgiving as painting trees and boulders. So at least for me, a lot of what makes cityscapes doable has to do with strategies in simplification. How to edit down the amount of stuff that gets described, how to suggest rather than describe, how to say more with less. The following are my strategies. Some are pretty basic, but I thought it might be interesting to see how they were applied in a specific painting. Often people ask me about the difference between how I work when painting a studio piece versus how I work when painting outdoors. 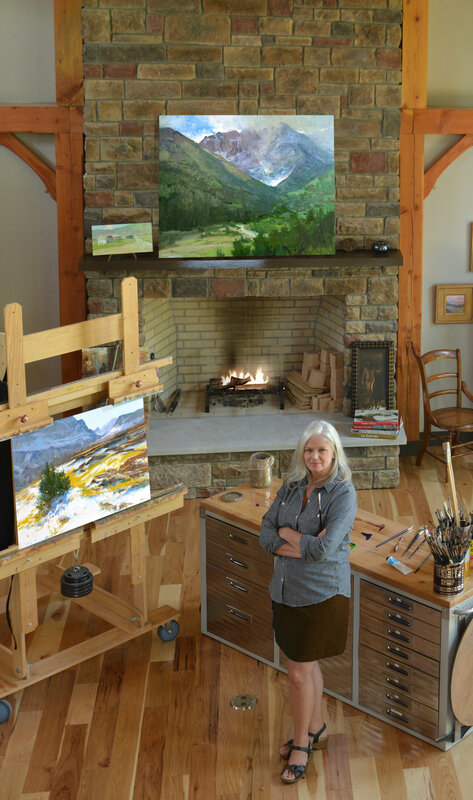 With plein air there is a certain amount of spontaneity, mental fortitude and ingenuity that is required to complete a painting in one session. Working en plein air engages you in its visceral experience and makes you more sensitive to subtle color changes and tonal gradations due to changing atmospheric conditions. Because of these quickly changing conditions I am forced to paint in a more intuitive and expressive manner, capturing the essence and impression of my subject matter and omitting unnecessary and irrelevant detail. Painting from life is essential to every artist. It sharpens the memory, dramatically improves draftsmanship, and gradually enhances painting proficiency.